Our ratchet straps are made from high quality polyester webbing paired with strong tie down hardware, giving you a product you can rely on. This soft yet hard-wearing polyester webbing helps to ensure that the heavy-duty ratchet straps stay securely anchored without damaging the load. Ratchet straps can be used in a number of different tie down applications, including safely securing a variety of different loads during transit, such as on flatbed trucks, vans, or lorries. We stock a huge selection of different ratchet strap sizes and lengths, including strength ratings between 1500kg and 10,000kg with lengths up to 20m. For lightweight applications, such as securing items to a roof rack, you may find that a mini ratchet strap may be more suitable. 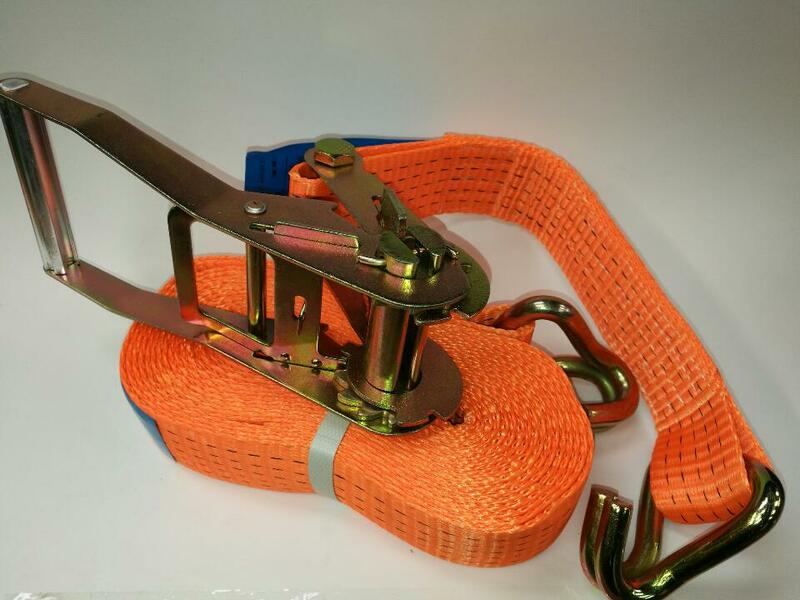 We can provide mini ratchet straps to suit all applications, including cambuckle straps with load capabilities up to 1500kg. D-ring ratchets are the perfect solution for attaching to hooks mounted on the walls and floors of your lorry or flatbed, with an impressive minimum break strength of 5000kg, while an endless ratchet strap is ideal for bundling items together when fixing points aren’t required.